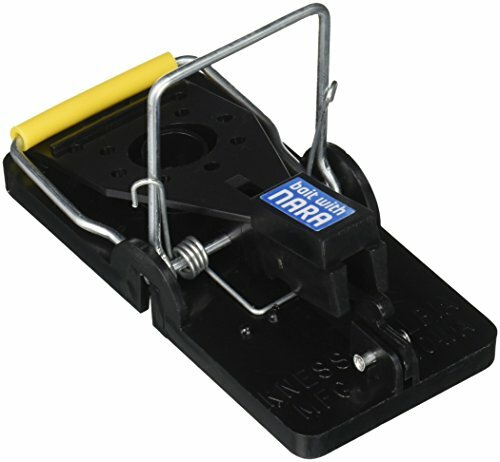 Snap-E Mouse Trap Snap-E Mouse Trap eliminates pest mice and chipmunks. This is a great rodent pest control trap. With the Snap-E, it's the end of the road for mice, chipmunks, and other small rodents. The quick response time makes certain that once caught, the rodent stays caught! Product Benefits *Preformed bait cup allows for easy baiting. *Durable polystyrene and steel construction. *The vertical strike bar travels half the distance of the old-fashioned wooden traps. *The extra large trip paddle and strike bar catch rodents from the front, sides and back. *The Snap-E resist stains and odors common in old-fashioned wooden traps. *Can be reused for years of service. *The Snap-E is simple, safe and sanitary. *Easy to bait. *Easy to set. *Easy to release. *Fingers never touch the rodent. Durable polystyrene and steel construction. The Kness Snap E Mouse Trap resist stains and odors common in old-fashioned wooden traps. Can be reused for years of service. View More In Pest Control. If you have any questions about this product by Snap-E, contact us by completing and submitting the form below. If you are looking for a specif part number, please include it with your message.